Why invest in a Philippine Stock Exchange index fund? Many of us are already aware of the advantages of investing in index funds but are having a hard time choosing which fund to invest in. We are enticed by a dizzying array of index fund options, ranging from mutual funds, UITFs, and even an ETF, with their respective pros and cons. Although there are a lot of information available online, it is hard to sift through the hype. 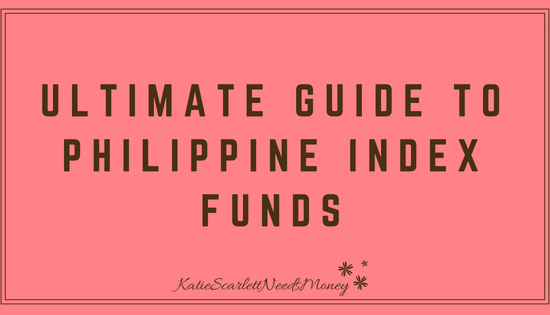 So I decided to conduct my own extensive and thorough research (I hope) and create the ultimate guide to Philippine index funds that is easily accessible and easy to understand. I read and skimmed hundreds of pages of prospectuses (prospectii? ), declarations of trusts, circulars from the Bangko Sentral ng Pilipinas (BSP) and the Securities and Exchange Commission (SEC), and other related documents that I can access online in the course of two weekend nights. You may think that’s impossible because you have lives. But I don’t. Notice that apart from the dip in 2008 to 2010 coinciding with the world financial crisis, the PSEi’s trajectory is generally upwards. From 1511 points in January 2004, the PSEi’s value increased to 8741.30 in January 2018. This means that for the long-term, your investments will grow if you put it in an index fund tracking the PSEi. This is the cost of running the fund. In theory, management fees for index funds should be lower since managers only need to follow the composition of the index being tracked. In the US, index funds management fees can go as low as 0.09% for Schwab S&P500 and 0.095% for Fidelity Spartan 500 index. Unfortunately, because of limited competition, fund management fees in the Philippines are TOO HIGH considering that they only have to track 30 stocks for PSEi. It’s not that hard, guys. Please stop overcharging us! However, with the entry of several UITFs and and an ETF in the market, there are now index funds charging management fees as low as 0.50%. Hopefully this trend continues and fees eventually become even lower. Many of us assume that the index fund we invest in will automatically and accurately track and match the performance of the target index. But not all index funds are created equal. Some index funds track their benchmarks more accurately than others. Tracking error is the gap or deviation between the returns of the fund compared to the returns of the index. In general, index funds underperform compared to their benchmarks. Among the reasons for the gap is the fact that there are associated fees in running the index fund. Another reason is that index funds need to have cash reserves to pay those who want to redeem from the fund as well as to manage inflows into the fund. Meaning, index funds are not 100% invested into the index. The lower the percentage of the tracking error, the more accurately the index fund is able to replicate the performance of the benchmark. The reason we invest in an index fund is because we want to mirror the returns of the benchmark. If the index fund that we’re investing is not faithfully tracking the index, we need to understand the reason why and ask ourselves if the risks are worth it. There are times when index funds may outperform the benchmark. This means that fund managers are taking more risks with your money. On one hand, it’s awesome if the fund outperforms the benchmark because, more money! On the other hand, beating the index is very hard to sustain and trying to do so may even lead to losses. Index funds almost always outperform actively managed funds in the long term. Which means that for long-term investing, we should opt for an index fund with low tracking error because this means that the fund’s managers are closely following the benchmark. In the Philippines, many index funds publish their tracking errors while some do not. I am generally wary of secretive firms . If they’re not releasing information as crucial as tracking errors, what else can they be hiding? In the age of the internet, there’s really no reason why companies can’t make their public filings and other crucial information easily accessible through their websites. They’re probably thinking that prospective customers will call or visit their office to ask for the needed information. Actually, we won’t. I think I speak for many in my generation that we won’t contact these companies unless they’re promising exceptional benefits. We regard secretive companies with suspicion and most probably will avoid doing business with them. It may be counter intuitive, but nowadays the more generous you are with your product, the more you can convince people to buy from you. 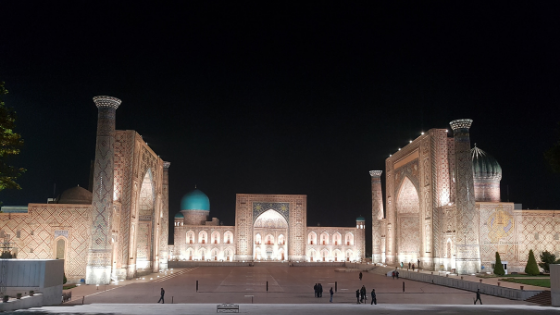 Additionally, as an expat, I don’t have the luxury of just picking up the phone or dropping by an office to have a little chat about fund offerings. I prefer to read the information on my own, conduct my own research, and base my decisions on what I’ve independently learned instead of listening to a pitch from a salesman. Since I’m based abroad, I prefer to be able to buy shares through online platforms instead of physically going into an office. 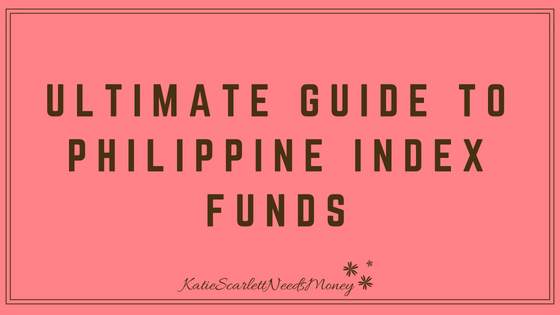 I compiled a comprehensive guide to Philippine index funds which includes the factors I believe we should consider when deciding where to invest. The information in this table are culled from publicly available data. + fund expenses payable to third parties, i.e., custodian, external auditor fees, etc. 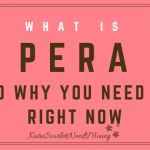 Note: Only for Personal Early Retirement Account (PERA). *basing on KIIDS 29 June 2018 I obtained via email, annual fund fees may reach more or less 30 basis points or .30%. Will verify the total once their KIIDS database is uploaded on the East West website. Note: While KIIDS and public filings not yet available in their site, EastWest promptly answered my email requesting for fees information. They answered my email the first hour of the next business day (I emailed during the weekend)! Very impressive! *I can’t find information on how much the third party fees totaled. Brokerage fees 0.04% (published in its website) Inception: January 2013. Note: Very fast response to inquiry. Received an email from First Metro on the first hour of the next business day. I emailed during the weekend. 0.25% (early redemption) Not available Inception: 28 March 2005. Note: Website only have the most basic information available. Note: It’s funny how Security Bank spun its high tracking error as a positive, saying that “the higher the number, the higher the reward”. Just, no. Sun Life Prosperity Stock Index Fund Option A: Paid when fund is bought. Under this option, the investor may redeem their share anytime. The commission shall not exceed 2% of the investor’s total purchase cost (2.04% of the net invested amount). Sales load Option B: No initial sales commission deducted. The investor agrees to “repay” SLAMCI a deferred sales charge (DSC) plus VAT, but only of the investor sells the investment or a portion thereof, within 5 years. The DSC disappears after 5 years. Note: Sun Life’s presentation states that their management and distribution fee is 1%, which is different from what their prospectus says. Note: Scant information in the UCPB website. Waiting for UCPB’s response to my email. As we can see, management fees range from a low of .50% to a high to 2.15%. These are the annual fees usually published by fund companies when they’re trying to convince people to invest with them. What’s usually not made clear is that there are still other expenses payable to third parties such as custodians and external auditors. These are not stated outright in their shiny brochures. If you read the prospectuses/declarations of trusts of these index funds, you will notice that there are two kinds of fees: the management or trust fees, used to pay fund managers and employees, etc. 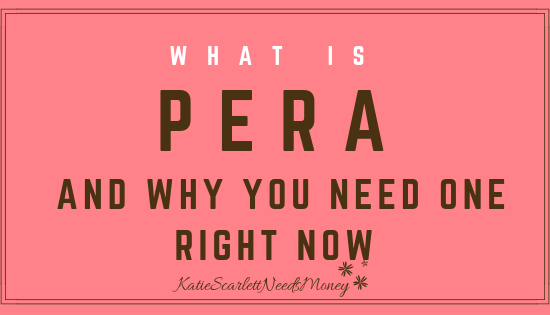 Then there are fund expenses, to pay third parties covered by separate contracts such as custodians and external auditors, as well as to pay the boards of directors (they didn’t become board member just for fun, you know), operations expenses, among others. These fund expenses are usually equivalent to around 5 to 10 basis points (0.05% to .10%) of the fund and, like management fees, are deducted from the value of the index fund. In total, we can expect that if a fund says they charge 1% annually, total fees are actually in the 1.05% to 1.10% range. But what the banks and mutual fund companies declare in their brochures and websites are only the management fees, neglecting to mention that there are other fees besides. I’m sure this applies to actively managed funds as well. Compared to the UITFs and the lone ETF, mutual funds are comparatively expensive to buy. Sun Life has an elaborate sales load scheme. All three index mutual funds: Sun Life, Philequity, and PAMI have sales loads ranging from .5% up to 3.5%. Unless you have a way to buy these three funds without sales load (maybe through COL financial, etc. ), be sure that you have very good reasons why you will put your money in these funds. Most Philippine index funds can only be bought from their respective companies and require your personal appearance in their offices. As an expat who only goes home maybe once, or at most twice a year, this is a huge disadvantage. First Metro Philippine Equity Index Fund. Low fees and low tracking error. Freely available information on its website and fast customer service. East West PSEi Tracker Fund. Low fees and low tracking error. Fast customer service. Also for consideration is PhilEquity PSE Index Fund because of its convenience, low tracking error, and solid track record. When it come to trust fees, First Metro’s 0.50% management fee cannot be beat. Its closest competitor, East West, is 50% more expensive. Philequity’s fee is 100% higher than First Metro’s. Since all these companies are tracking the PSEi, I can’t really see any reason why management fees have to be so high. There’s no premium in conducting complex analysis and research since they only have to track the benchmark. There are only 30 stocks in the benchmark. Buying and selling the component stocks can even be automated. Even if we factor in the brokerage fees when buying and selling First Metro ETF, I still think total fees will be lower in the long run. We have to remember that the brokerage fees are applied against the transaction value alone while management fees are charged against the TOTAL VALUE of your investments, including gains. Avoiding paying brokerage fees by accepting higher annual management fees is penny wise and dollar foolish. All three funds are able to minimize their tracking errors but East West’s 0.0003% tracking error is really impressive. If you already have a trading account, the easiest index fund to buy is First Metro ETF since it trades in the Philippine Stock Exchange and can be bought through any online brokerage account. If you have a trading account with COL Financial, you can buy PhilEquity shares without being charge the sales load. As for East West, you have to personally appear in their office to open a UITF account. Based on my requirements, I chose First Metro Philippine Equity Index ETF because it has the lowest management fees among all Philippine index funds and has a low tracking error. First Metro is also very transparent and provides information to clients and non-clients alike through its website. Buying their ETF is also very convenient for me since I already have a trading account. There’s no special step I have to do in order to start investing in First Metro’s ETFs. I only have to log on to my BPI Trading account and start buying and selling my shares. True, there are brokerage fees I need to pay but I think the fees are offset by the 0.50% annual trust fees (plus fund expenses), which is the lowest in the market right now. Also, as an expat, I appreciate the fact that I can just go to their website and read their company reports and other public filings without jumping through hurdles, actually calling people, going to an actual office to talk to a relationship manager, etc. Of course, this decision is based on MY own requirements and may or may not fit your needs. 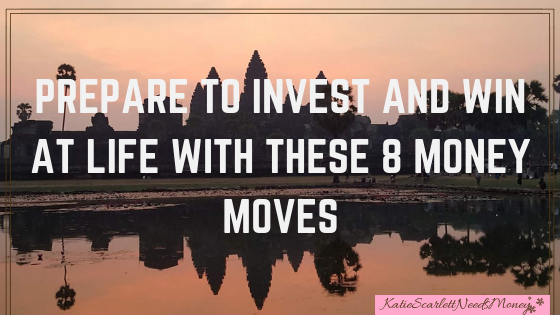 I hope this post can help you in making wiser investment decisions. 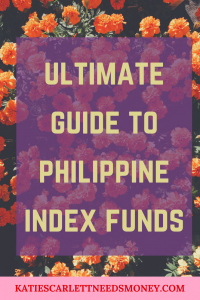 I challenge you to list down what you’re actually looking for in an investment and use my guide to Philippine index funds as the starting point of your own research. I’d love to hear back from you. 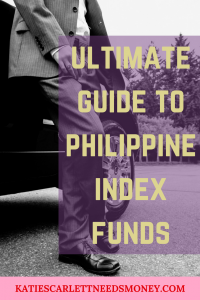 Please let me know what you think about my guide to Philippine index funds in the comments. Or share this to your Pinterest page for later! Hello there. What are your thoughts on FMETF being illiquid. Can you really sell your stocks at the time when your shares are very high? I noticed that FMETF may be seen as illiquid by some especially those who wish to trade in large numbers. If you’re going to trade in the hundreds of thousands or millions of pesos and want to liquidate or buy right away you will be frustrated. But FMETF regularly trades in respectable volumes daily. You’re welcome Rica and thank you for reading my blog. I’m glad to be of help. Hi Katie! I have been reading several books from John Bogle thus my interest with Index fund. 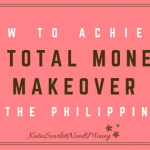 Since, I am an OFW, I have trouble about how to fund if I invest in the Phils. See, because of this Fraud thingy, banks are requiring OTP-one time password, every time I make online transaction, and I find it impractical to maintain Phil. number, so, I close my account with Metrobank. I went to other banks and they told me the same thing. You mentioned about BPI Trading account, does BPI ask for OTP everytime you make transaction online? Thank you and I hope to hear from you soon. BPI Trade does not require an OTP. I also have an AB Capital Securities account, which also does not require an OTP. Hope that helps. Thank you Katie, that helps. Let me first give my thanks for providing such a detailed but easy-to-grasp article about Philippine Index Funds. I am also a student expat living in Australia. Currently 21 years old, I want to start investing in FMETF or PhilEquity PSE Index Fund when I visit Philippines this December. My dilemma comes in choosing which index fund and platform I could use best with my investing horizon being long term saying 5-15 years and maybe even more than that. Based on my personal research, COL and BPI Trade, and BDO Nomura are the platforms available. Knowing the Philippine Bureaucracy, I will need to get a TIN and SSS to be able to open accounts on COL and the lot. I am seeking advice on which you personally think suits me best as an expat like you. Feel free to go beast in providing any other help helpful advice. I’m personally invested in FMETF and plan on continuing to increase my holdings until, well, forever until retirement. I currently have both BPI Trade and AB Capital Securities but I prefer using the latter more. Customer support is excellent and I can transfer my US dollar to AB Capital’s account through wire transfer. They will convert your USD to PHP using that day’s rate. It saves me the bother of doing multiple bank transfers. Would like to clarify if the item i should be buying is the FMETF once I’m in the trading interface? Currently, I have no idea how does FMETF works. Is there a way to connect with you for some questions? Hi John! The ticker symbol is FMETF as well. You may email me by filling out the info boxes on my contacts page. Hi Katie. Thanks for this very detailed post. I’m also based abroad, in US specifically, and had a goal of investing in the US stock market this 2018. However, during my research, I stumbled upon Mr. Money Mustache who advocates index fund. I dug deeper and realized that it makes total sense. Not only does it fit my lifestyle, but it’s also endorsed by some of the best finance people out there including Mr. Buffet himself! Being a Filipino though, I’ve always wanted to give/invest back to our country. Your post gave me a great deal of guidance on how to hit 2 birds with one stone. Thanks so much for putting out quality content. Hi Chickee. Thank you for commenting, it means so much to me right now. 🙂 I also like reading MMM and other FIRE bloggers and think how I can replicate them in the Philippines. Thanks for dropping by. Hi Katie, Thank you for sharing your research on index investing in the Philippines. I also live in the UK at the moment. MMM and JLCollins’ index investing brought me here as I am interested in getting into investing with Vanguard index funds (VTSAX specifically as suggested by JL Collins) and saw the news (https://fundselectorasia.com/vanguard-products-launch-in-the-philippines/) that Security Bank has opened a SB US Equity Index Feeder Fund which is the domestic wrapper for the Vanguard Total Stock Market ETF, and a SB Global Equity Index Feeder Fund’s target fund which is the Vanguard Total World Stock ETF. You need to have a dollar account with Security bank though. 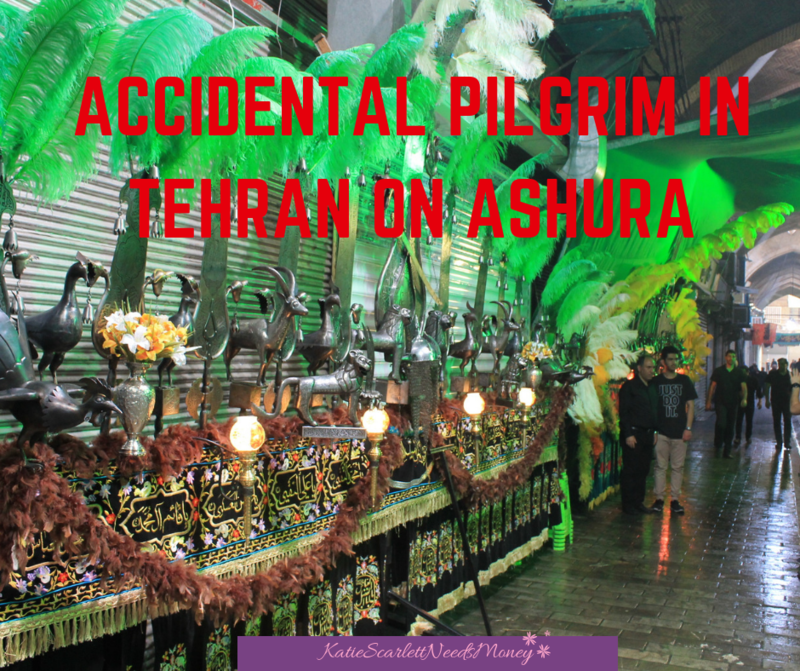 Have you come across this article? Have you any plans in investing outside Phils? Thank you for visiting my blog. 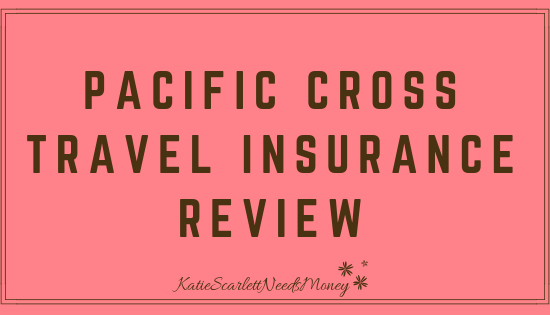 Yes, I am currently in the process of investing overseas but I’m just ironing out a few kinks with my prospective online broker. Will share my experience real soon. As for the SB Global Equity Feeder Fund, it’s a great idea BUT, if you can directly invest in target fund just cut the middle man. 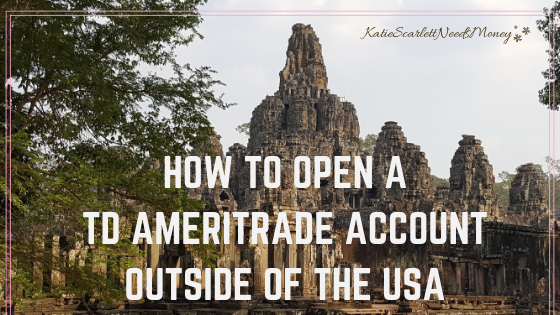 Personally, SB’s offering is a pass for me but it might be an option for others who cannot open trading accounts that has direct access to US equities markets. Hello! I appreciate this work of yours very much! It gave me so much knowledge about index funds particulary about the costs and fees! But may I ask, if I’m going to invest in index fund through a third-party broker (such as ColFinancial) instead of through an agent, do I also need to “time” my investment when the market when the PSEi is low like a common strategy in investing in stocks? Thank you for reading my blog. As to “timing” when to buy shares, I don’t believe in timing the market. Hi Katie! Thank you for this informative and easy to understand article of yours. Thank you for sharing your experience too. This helps me a lot since I have also been researching how and where to invest. Keep up the good work and keep inspiring us. Everyone needs motivation and inspiration to prosper. God bless!! Thank you for the nice thought, Krysel! Thank you for sharing this and for creating this blog (bookmarked it na!) I wish I discovered it earlier. Would you have any thoughts on PhilEquity’s MSCI Philippines Index Fund? Thank you for sharing this (bookmarked your blog!) Wish I discovered it earlier. Would you have any thoughts on Philequity’s MSCI Philippines Index Fund? Thank you too for bookmarking my blog. You won’t regret it (naks naman)! The MSCI Ph Index Fund looks interesting but since this is a new fund offering, I haven’t formed my opinion on it yet. Thank you for bringing this to my attention though. This means the Philippines currently have offerings tracking 2 stock market indices, giving investors more options! Interesting times. As far as I know, only First Metro ETF issues dividends annually instead of monthly. Hi! I am very new to stock trading but I am well interested in the topic. I am currently in Australia as a temporary resident, but I would like to invest in Philippine stock exchange (I am a filo citizen). How did you first start of with making a trading account? I really am fresh to all of this. If you wish to invest in the PSE, you have to open an account with a Philippines-based online broker. Many people open an account with COL Financial. I personally have accounts with AB Capital Securities and BPI Trade. For Ab Cap Sec, you can open an account by sending your documents via courier. Faxed documents cannot be accepted per SEC regulations. For international stocks(meaning outside of the PH), it’s more complicated. If you want to buy US or European stocks you have to open an account with brokerages specifically offering the service. Not all online brokerages offer cross border trading because of the complicated rules, taxation regimes, etc. Thanks for this well-thought out post. It seems in the Philippines, index funds are still relatively expensive compared to US counterparts (where competition keeps costs low). I held some Sunlife mutual fund shares in 2007/2008 and you’re right the front sales load was pretty expensive (which you’ll pay if you only hold your shares in the short term). What I hated about mutual funds was the lack of transparency as to which particular companies the fund was buying shares of. How are stock/ cash dividends paid? (I never received any of it). this is why I feel better holding individual stocks. Costs are transparent and I receive dividends regularly. This, for me, offsets the risks. I hope that with the increase of financial literacy advocates in the Philippines spreading information, banks and mutual funds companies will eventually lower their fees. Hello, thanks for this very informative post! I’m currently new to investing and even managing my finances. I’m still afraid to dip my toe in the water at the moment that’s why I try to read up as much as I can about this particular topic and the like. Just recently applied for a health insurance as well as invested a small portion of my salary into a mutual fund (advice given by a close friend). Anyway, thank you for your blog! 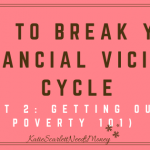 Congratulations on taking the first steps to carefully managing your finances. Stick around and you’ll find a lot of useful info on my future posts. For the meantime, have a look around! I am considering following the bread crumbs until the end of the trail. Just need more details of what one needs to do at the end. What happens when you plan to retire? Does one need to sell all shares or Is it possible to set it up to provide a monthly/yearly income when it is time to retire. What do you mean by “the end”? 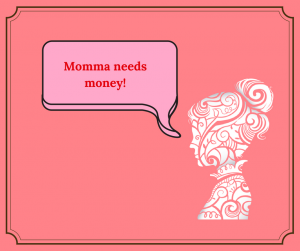 If you mean by retirement, then use the money to fund a happy and prosperous retirement. You don’t have to withdraw everything at once, just the amount you need for expenses. If you plan your investments carefully, you can set it up so that you can withdraw annually without greatly diminishing the value of your principal and making the money last until the day you die. 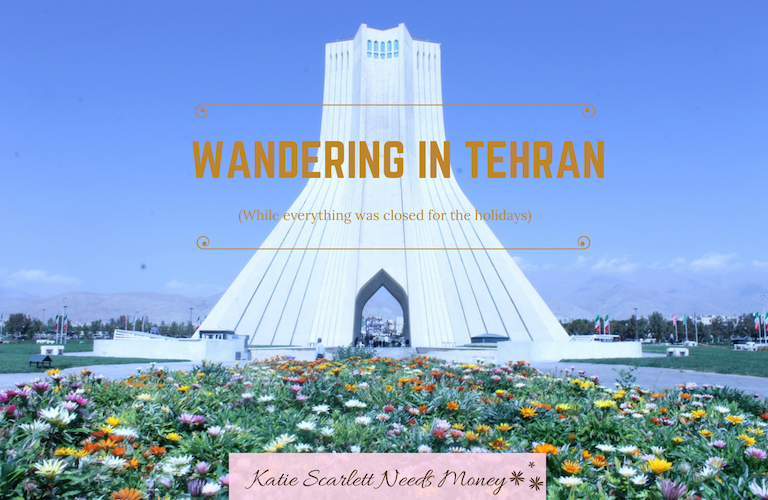 This blog is great for expats. May I ask why you invest in the PSE when you are based abroad? 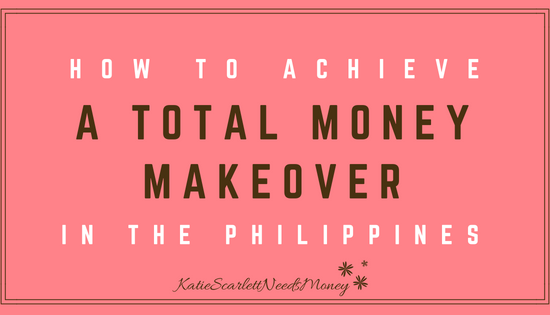 Do you plan to move back to the Philippines? Otherwise, are the higher fees for local index funds and currency risk worth it, instead of investing in your current location, considering you don’t have pesos, but fund your investment from foreign currencies? 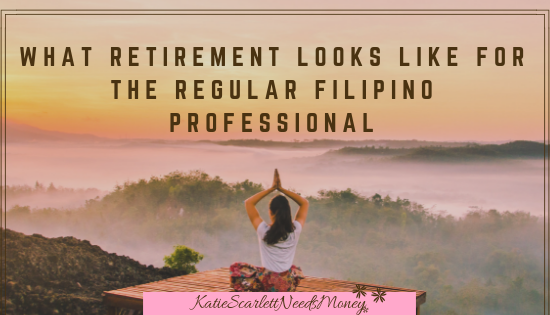 My family is based in the Philippines and so far I’m planning on settling there for retirement. That’s why I chose FMETF because of the low fees; I dont want to play around with expensive, actively managed funds. Unfortunatel, it’s very hard for expats to invest where I’m currently at (Northeast Asia) due to language barrier and lack of customer service for foreigners. I did try.